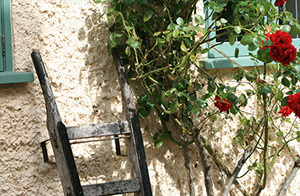 The Stables and The Gardener's Cottage are newly converted, providing a period setting with 21st century amenities. The interiors have been thoughtfully decorated and furnished with style and comfort in mind; using beautiful English Oak, Heritage and eco products to attain an understated elegance. Comfort and Quality has been the main criteria. Designed for two,they offer the ultimate self-catering experience; an oasis of calm from which to discover this area's rich heritage. Great emphasis has been put into providing everything needed to make your stay unforgettable. Situated between Sandwich and Canterbury, we are ideally placed for visiting this outstanding area of England; along with easy access to ports for trips to France and beyond. Dover Docks are 25 minutes away, with Eurotunnel about 40 minutes, and Ashford International Station for Eurostar is around 45 minutes drive. 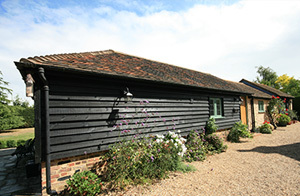 These two charming cottages nestle in the hamlet of Shatterling, a beautiful part of the county of Kent, within easy reach of Canterbury, (a UNESCO site). Sandwich, described as one of the most complete medieval towns in England is 5 minutes by car, or head out into the beautiful countryside for days spent walking or birdwatching. If history is your thing, the ancient castles of Deal, Walmer, Richborough and Dover are all within easy reach. Other ideas may include a day trip to Paris via Eurostar or ferry to Boulogne and Calais; or stay with these shores and enjoy a day fishing, golfing or a refreshing coastal walk. This is the perfect location for exploring the best that Kent has to offer.